You know-we went there for our honeymoon and it was the best time ever. Well, it also had the tastiest food ever. I've never been huge on Mexican food but that somewhat changed thanks to our trip-especially when it comes to salsas and dips and such, we had those with/prior to pretty much every meal and they were SO GOOD! 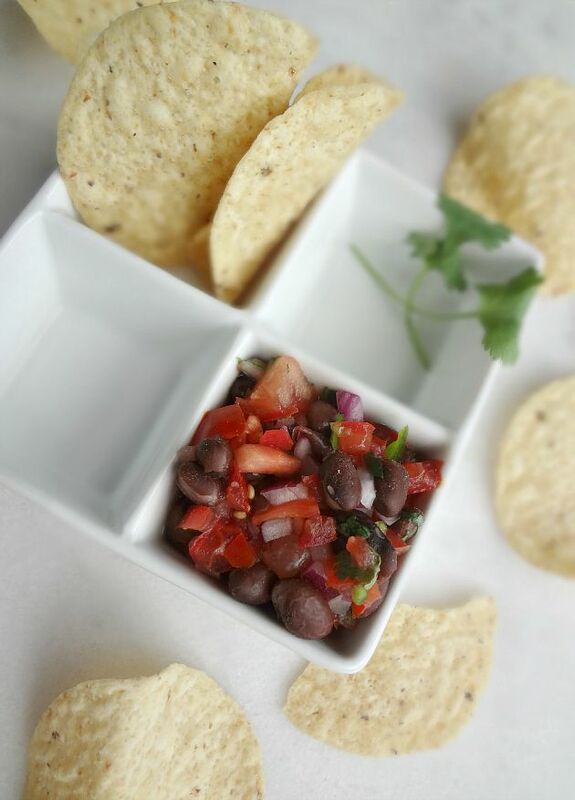 My particular favorite was a black bean pico de gallo we had at the Cactus Club. So one day I decided...I'm going to make my own! And it was a fantastic idea. 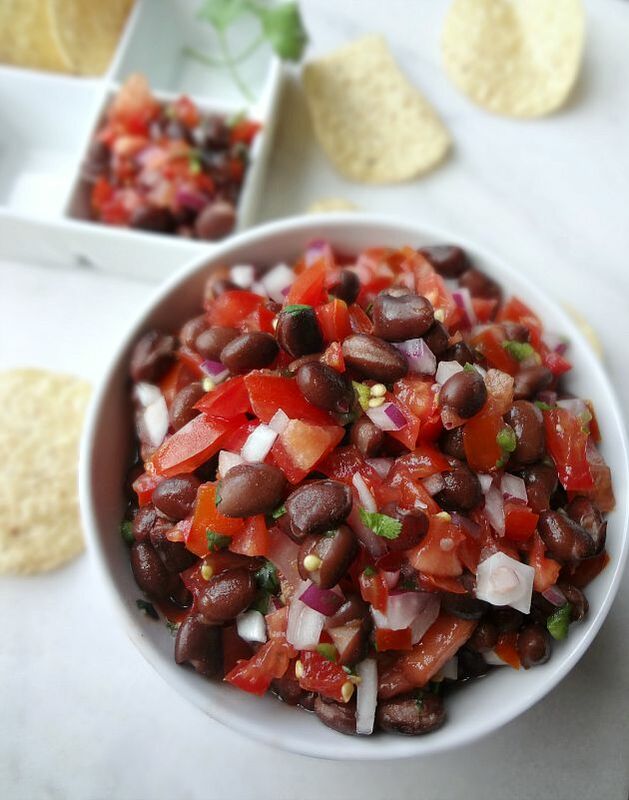 Anyway, my missing of Mexico has only be exacerbated by the fact that we've been to a couple Mexican restaurants (people are very excited that I'll now go to them) and my cousins had been making pico de gallo/salsas a lot lately during our Sundays in the summer. Then, one day, Michael asked me to buy him salsa con queso and tortilla chips and I said to myself, "Kayle-this is the time. 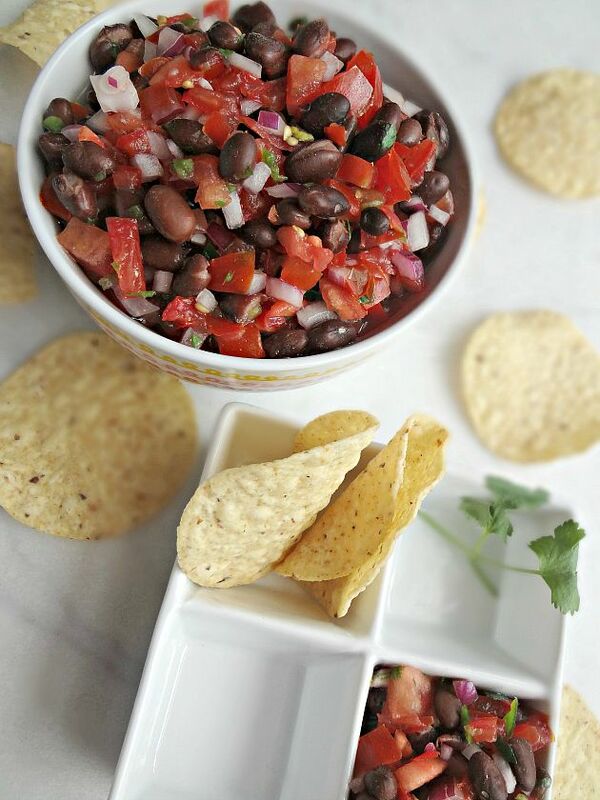 Let's recreate your favorite pico de gallo!" First a couple tips: This is totally adaptable based upon your palate. Know that. 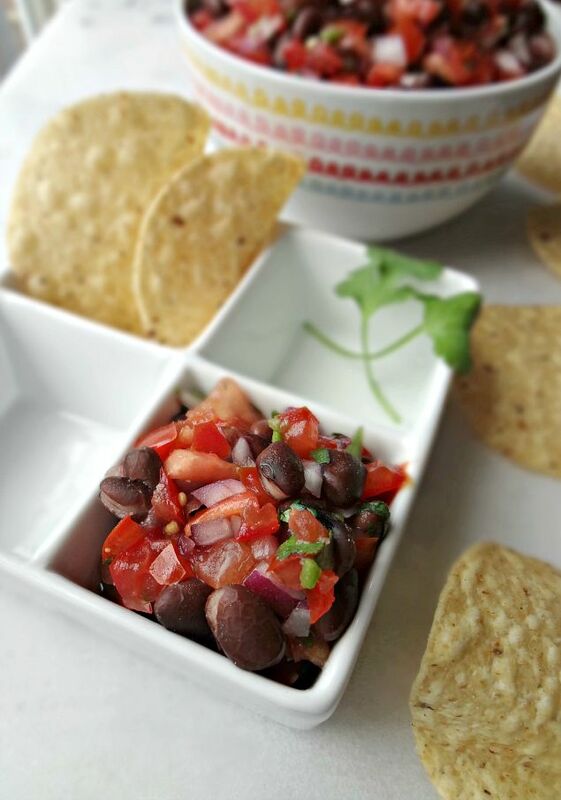 Also--use smaller (cherry or roma) tomatoes so that your pico de gallo doesn't turn out as watery as mine. Trust me on this. Also, um....make sure your jalapeños are chopped very small, your onions are pretty darn small, and that the tomatoes are diced on the smaller side too. And, finally--DO NOT SKIMP ON THE SALT. I'm normally very wary about the salt shaker for health reasons (and it's also kind of like I'm a recovering salt addict...I used to just straight up eat salt y'all and the sad part is...I'm not grossed out by it because I know that's delicious stuff. But soooo bad for you! )-but salt is really your friend with this, it's going to make the biggest difference with the flavor and just...you need it. You will thank me for this. Promise. And c'mon people...this is a bowl full of vegetables and beans-it's still healthy! Now you're probably wondering, "Was it everything you wanted it to be? Was it delicious? Did you love it?" YES YES YES!!! This came out as good as I could have ever expected! Mind you, it would have been nicer if I was staring at the beach and if Michael and I were in relax-y vacation mode but...still...for non-honeymoon fare, it was pretty darn good. Fresh and sweet and and cilantro-y (although that is another thing you can totally mess with to get it to your liking) and delicious (mine wasn't spicy at all because I don't like spicy so I used the lower amount of jalapeño--if you like spiciness feel free to up the amount and/or use the seeds!) And it was demolished pretty much in one sitting with Michael, me, and my brother all circled around it in my living room like crazy savages. Yepp. That good. You're gonna love it! Note-to help cut down on liquid, sometimes it helps to squeeze the seeds and such out of the tomatoes before chopping. Dice the tomatoes. Finely chop the onion and finely chop the cilantro. Add to a small-medium sized bowl. 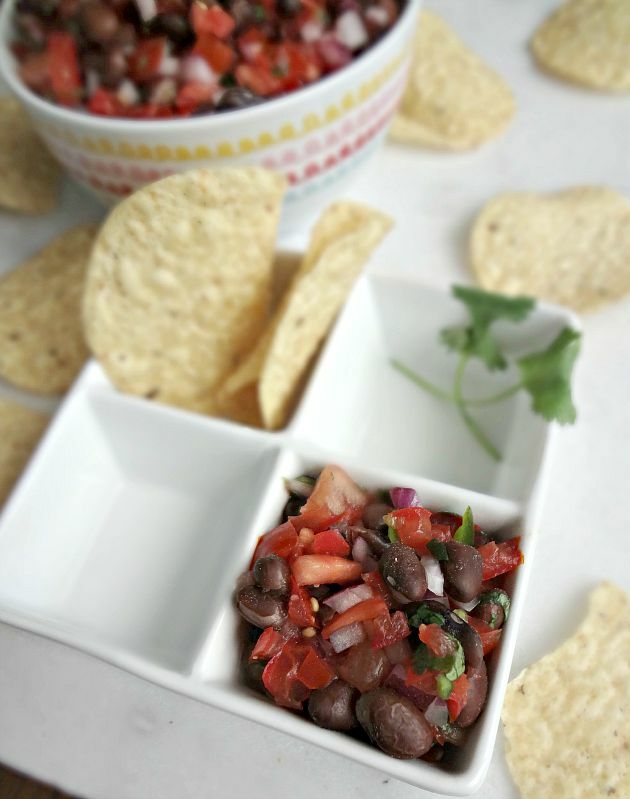 Drain and rinse black beans and add to the other ingredients. Add lime juice (to get more juice out of the lime-slice in half and microwave for 10-15 seconds. Then squeeze the two halves over the pico de gallo) and salt. Stir everything together. Add more salt (and potentially jalapeños) to taste. 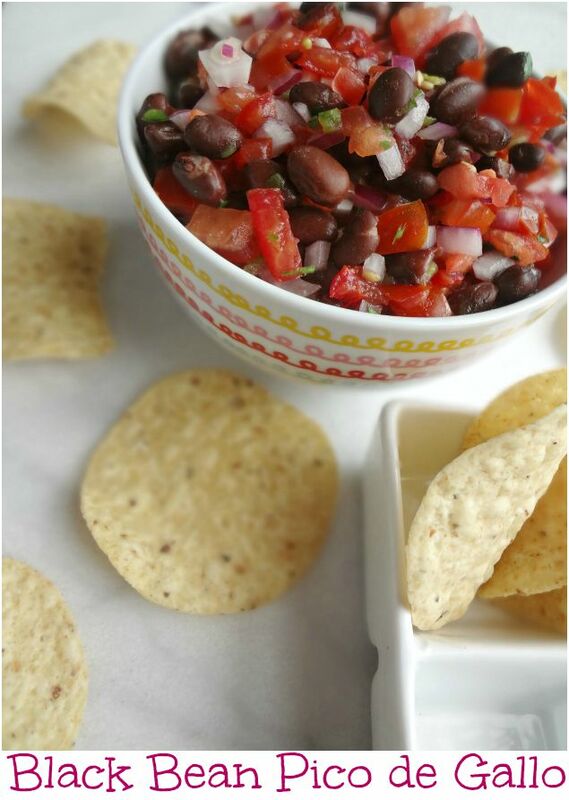 For ideal results refrigerate freshly made pico de gallo for a couple hours and then serve with tortilla chips! Store leftovers in an airtight container in the refrigerator for up to 3 days--the fresher the better, though.